Coordinates of the site: 29°22’30.61” northern latitude and 83° 7’8.28” eastern longitude, at an altitude of 4283 meters. 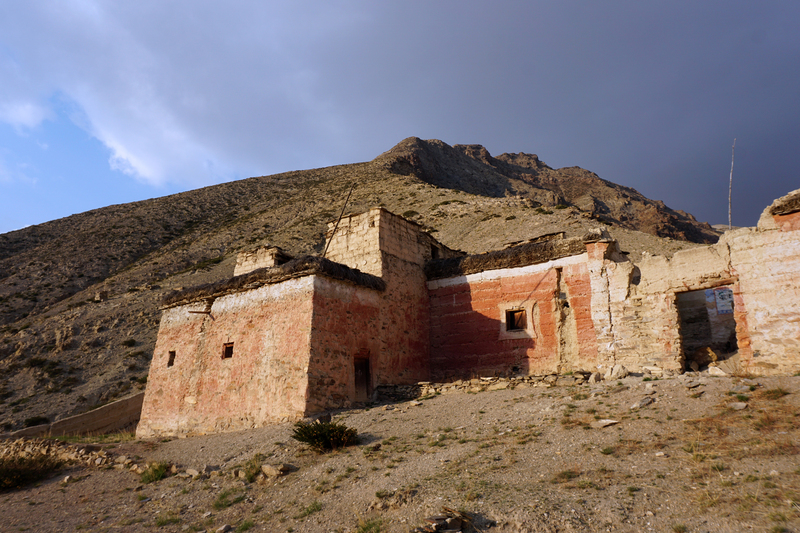 The Monastery of Hrab is situated widely visible on a hill above the valley, opposite the village of Tsa (Upper Dolpo) a half-day walk in the south of Saldang. 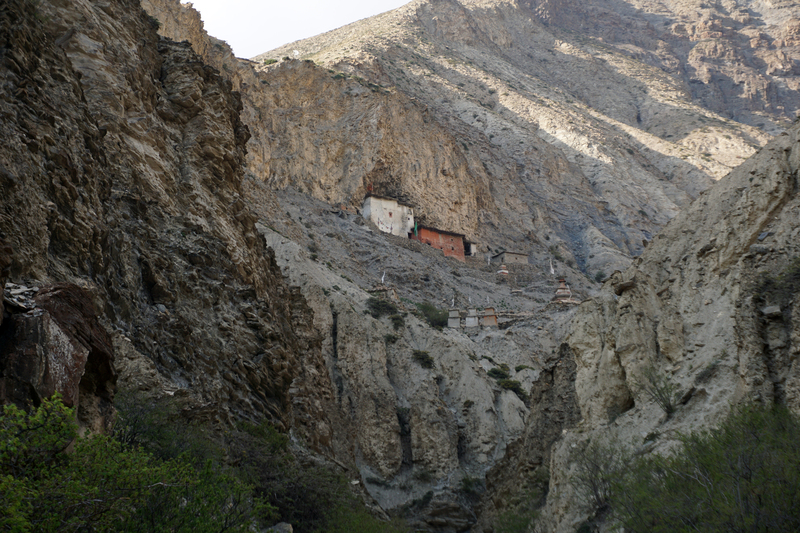 The path leads along a narrow gorge up from the river to the monastery. 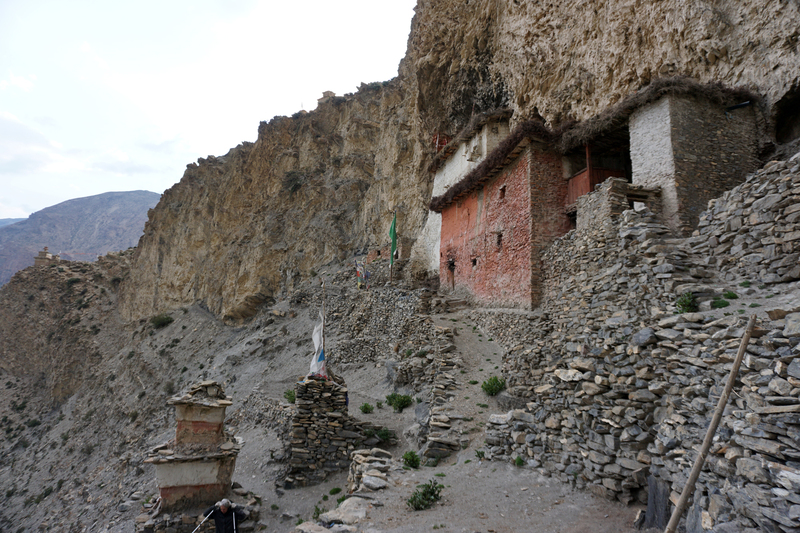 Passing two large mani-fields and some chörten, the visitor first reaches a redwashed gompa and the adjoining whitewashed residential house both built directly in front of the cliff. From here a path leads along the rock face further up to the plateau on which the monastery complex is located. 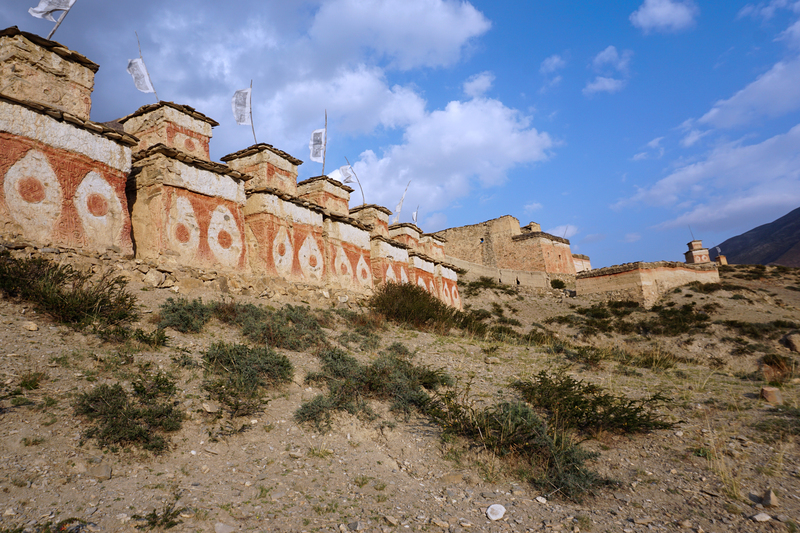 The trail leads past several groups of chörten, another mani-field and a striking row of eight stupas to the northwestern corner of the walled monastery area, which covers a total area of approximately 1300 square meters. 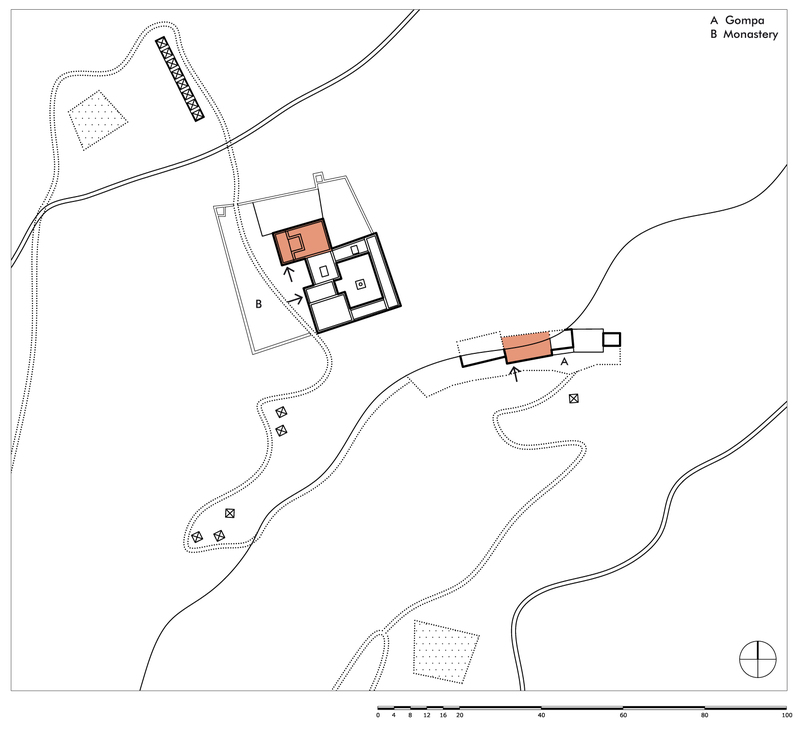 The monastery itself consists of a temple on the northwestern side (12.8 x 8.2 m) and an approximately square building complex (18.8 x 21.4 m), whose tracts are arranged around an open courtyard. 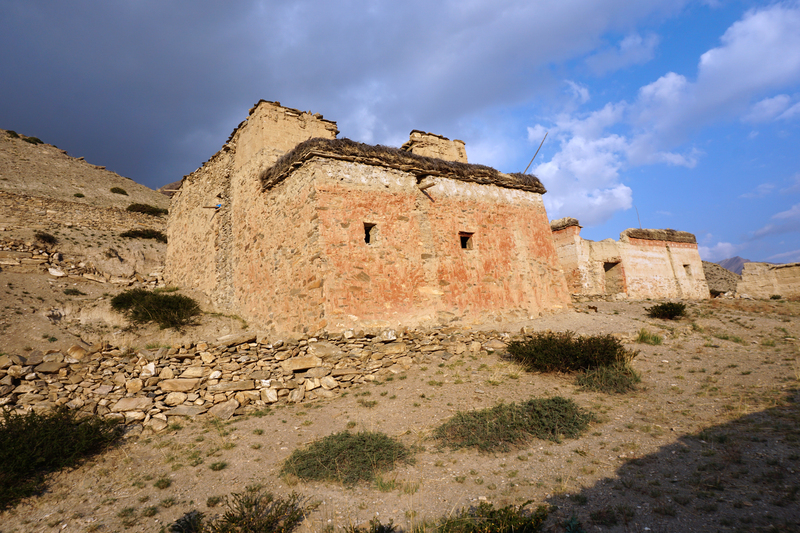 The western and northern areas of the plateau are bordered by a high rammed earth wall, which connects directly to the monastery complex. 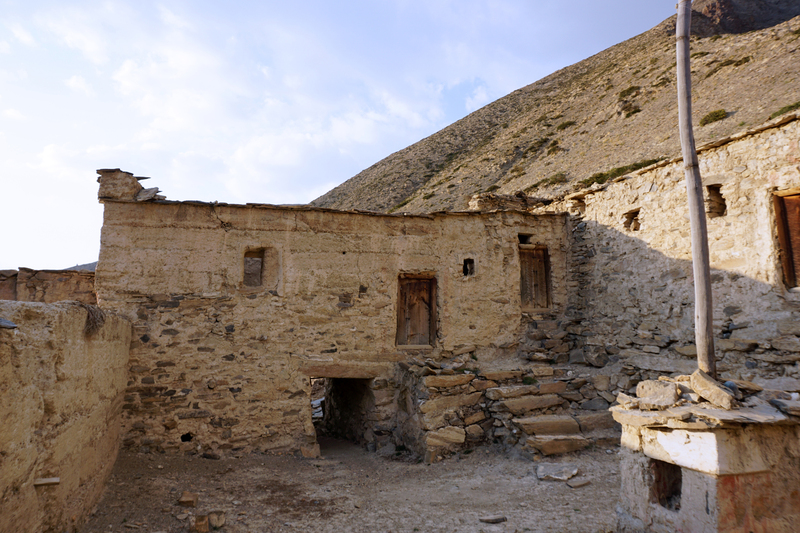 The entrance to the temple is on the southern side of the vestibule, the entrance of the residential building is on its western side. Through a corridor one reaches the common rooms arranged on both sides and further on the inner courtyard, through which the single rooms of the eastern and southern tracts are accessible. 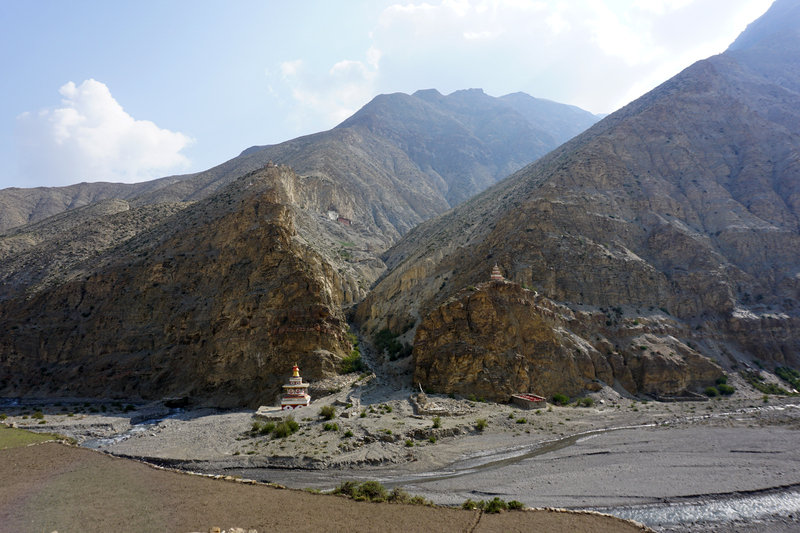 Today, both the gompa in the gorge and the monastery on the hillside are abandoned and apparently not longer in use. 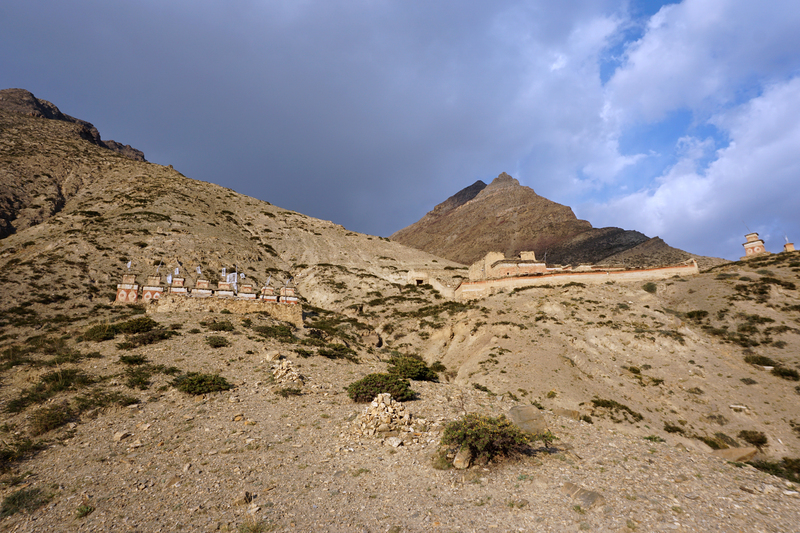 While the gompa and the upper temple are structurally in good condition, the rooms of the monastery are partially unroofed and obviously not used for a long time. 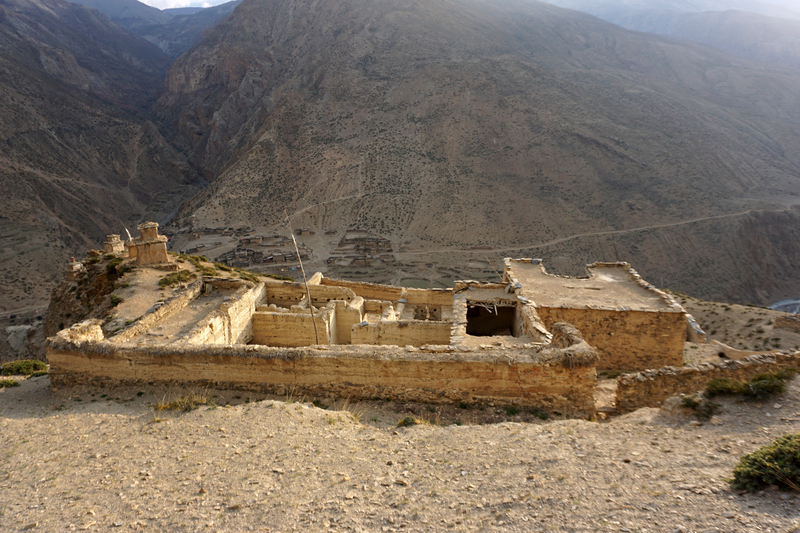 Nonetheless, from a typological point of view, Hrab Monastery is a very impressive example of a monastic building.